Erica Bunker | DIY Style! 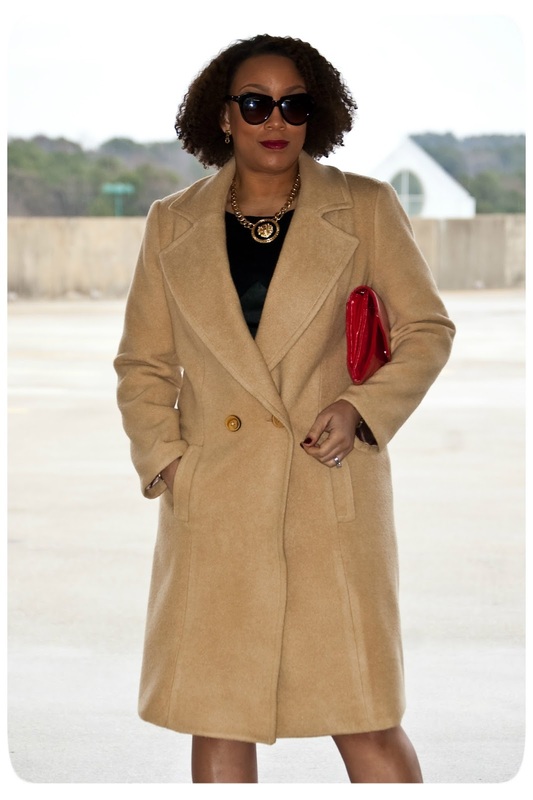 The Art of Cultivating a Stylish Wardrobe: Review: Simplicity 1759 | A Classic Camel's Hair Coat! 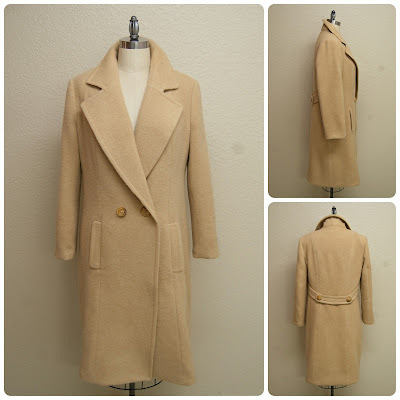 Review: Simplicity 1759 | A Classic Camel's Hair Coat! Every year, I like to make at least one substantial coat. Last year, it was my beloved cashmere pea coat. So this year, I decided it would be a classic camel's hair coat. I wanted a coat that I would love and cherish for years to come... nothing trendy at all for this project. Just timeless elegance. I picked Simplicity 1759 for my pattern. This pattern is great because you can choose either a single or double-breasted style; choose notched or stand collars or just collarless. It has patch or welt pockets and back belt variations. And most importantly, a two-piece sleeve. I picked this beautiful camel-colored 100% camel's hair fabric. It's described as "a heavy weight camel wool with a long brushed nap. Very soft, slightly spongy." This is a napped fabric with a raised pile. 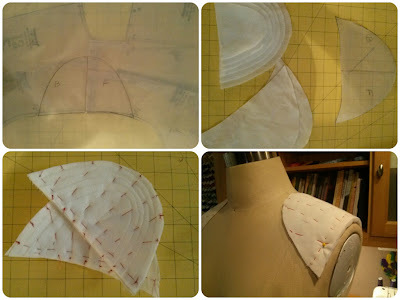 Which means it's best to layout your pattern and cut (on a single layer) with the nap running down the garment. It'll wear better and pill less. With ALL pieces going in the same direction. Also, since this fabric is thick, I used a 100/16 needle and a 3 mm stitch length. And I pressed the fabric on the wrong side using a fluffy terrycloth towel underneath. This is my first time sewing with camel's hair, so it was all experimental. I cut the size 14 and graded out to the 16. I added 3 inches to the length. And 1 inch to the sleeves. I made a 1 inch FBA. 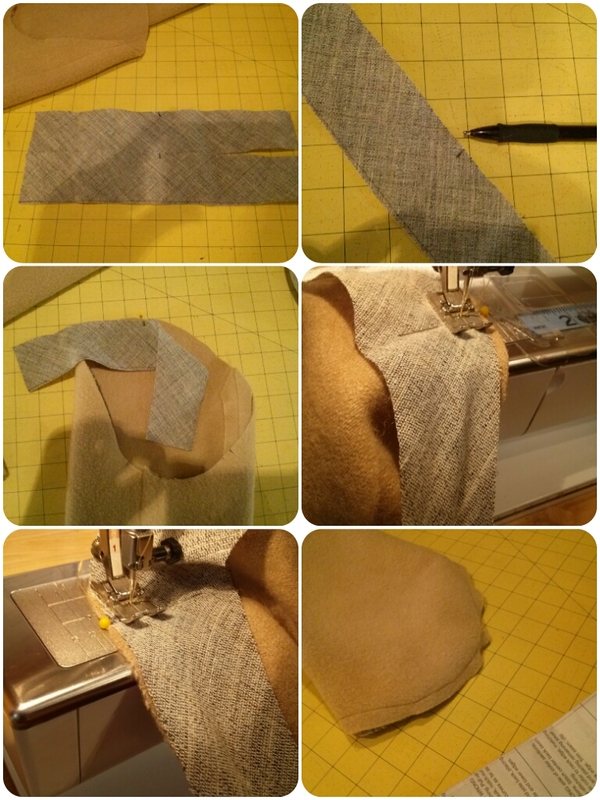 I followed the instructions for interfacing. But I padstitched the collar and taped my roll lines on my lapels. I also interfaced my hems. I also added a back stay (didn't photograph it, but you can check out previous ones here) and custom made shoulder pads. Made these using polyester fleece and a layer of muslin. I used two 2" x 12" bias cut strips of hair canvas. I marked the center of each strip and pinned to the wrong side at the top of the sleeve cap with the raw edges matching. Beginning at the center where the pin is, I stitched the bias strip to the sleeve cap using 1/2" seam allowance while fully stretching the bias strip... ending at the notch. Then I repeated on the other side. Note: if your machine doesn't have a seam allowance guide on both sides, you can use a piece of tape. Then your sleeve is ready to be pinned into the garment and sewn. The bias strips also act as sleeve heads! I used a silk charmeuse from my stash. And I bagged my lining. 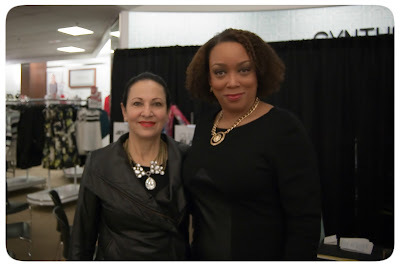 Since some of you are often curious as to where I wear things, on Monday I attended a Spring 2014 Fashion Preview at Belk. I'm with Arlene Goldstein, VP of Trend Merchandising and Fashion Direction. 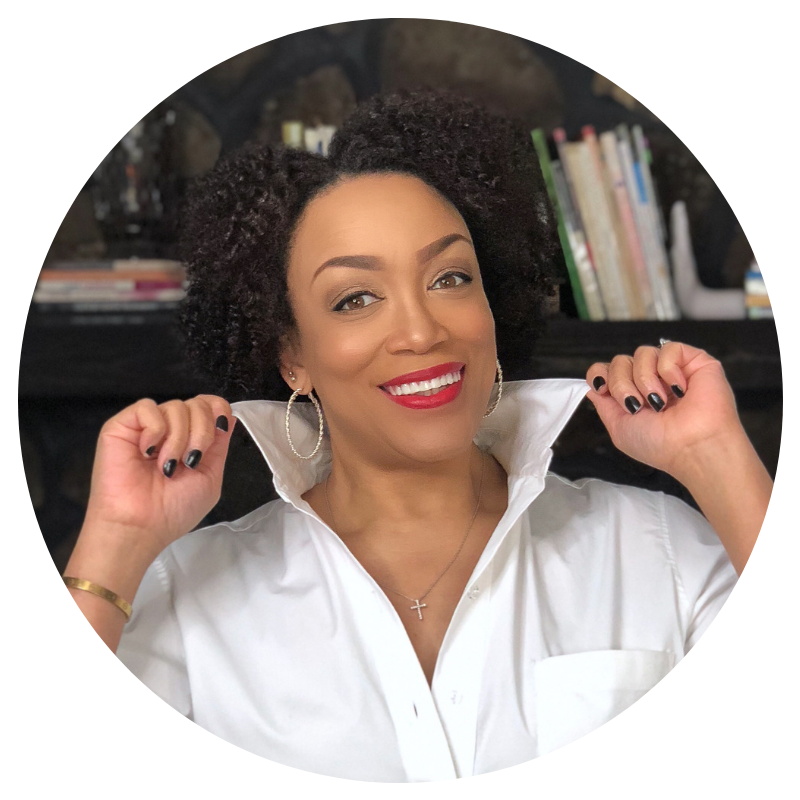 I'll be blogging more about the fabulous trends to look forward to later! Notice how leather was trending! I got to wear one of my new favorites, my Vogue 1251 lambskin leather and wool crepe dress! In conclusion, the idea that I created a coat that is similar to coats produced by designers such as Max Mara, makes me very happy. Coat making is really easy, but there are just a lot of time consuming steps. You have to (with experience) teach yourself how much tailoring and/or shortcuts you want to apply to your constructions techniques. And most importantly, that timeless beautiful fabric is really what makes a great coat, so choose wisely! Jaw. Hit. Floor. Stunning! Such a timeless and elegant piece! 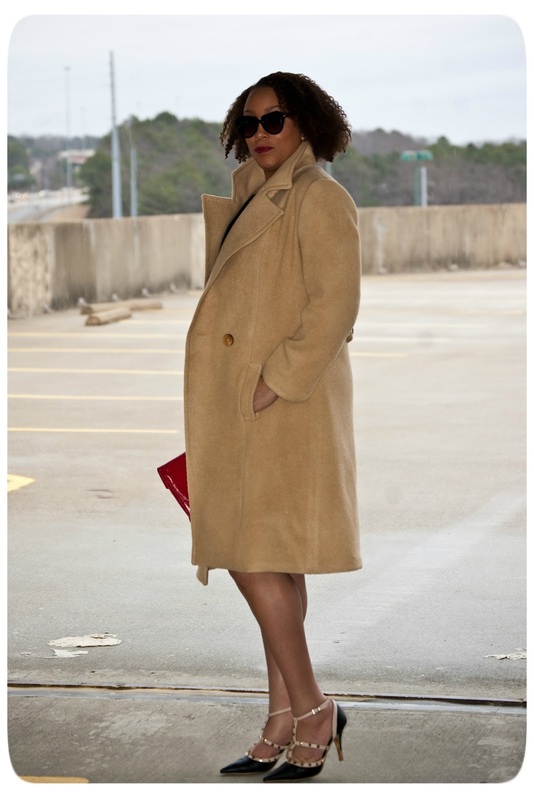 Gorgeous coat, Erica! It is such a classic and such a good investment of your sewing time. There is something nice about a classic coat hanging in the closet that will look great for years. Your complete outfit is stunning. Such sewing success, Erica! Love this! Simply GORGEOUS! What an inspiration! Spectacular! Truly timeless and a wonderful forever addition to your closet. Great tip on putting in the sleeves! So beautiful and classic. Your construction is amazing. There is obviously a lot I still need to learn! This year I plan on making my first coat and I hope mine will be even just a tenth as well made and beautiful as this one! 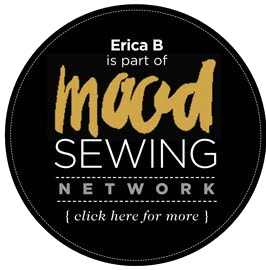 Thanks Sew Rachel and good luck with your coat! Thanks Jenny! I'm sure it'll turn out fabulous! I love your whole outfit! Enjoy your beautiful coat! GORGEOUS Erica!!!! You're so wise in your style selections!!! 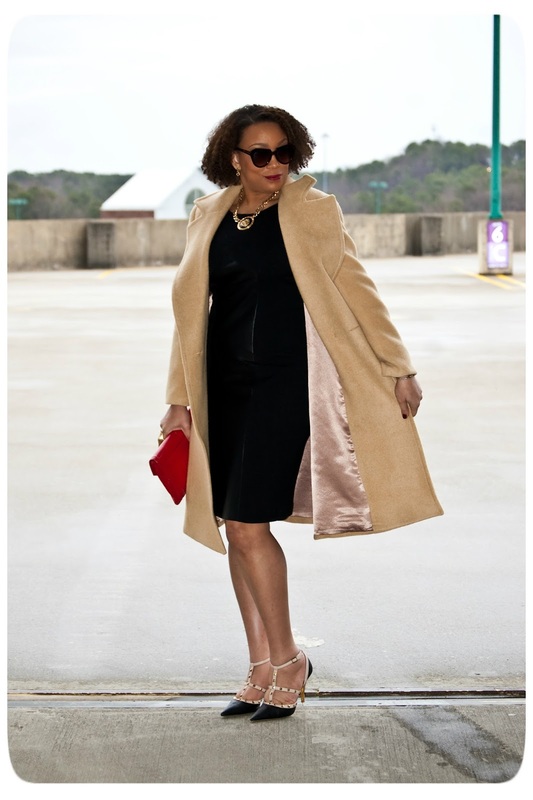 That coat is indeed a timeless and beautiful piece! Bravo!!! This is such a classic, stylish outfit! Now THAT is a gorgeous coat! You NEVER disappoint! LOVE IT!!! Just pure elegance at its best. Beautiful! 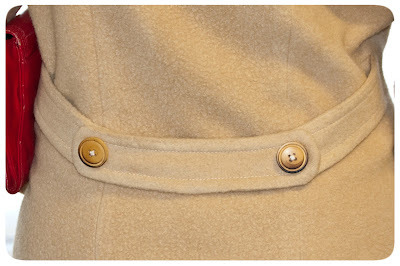 Your instructions and tips are bookmarked along with LaSewista on how to make a quality coat. This is a runaway coat, very well done Erica! LOVE it!! That coat is gorgeous and inspiring!! You look great in it. Wow! Your coat is absolutely beautiful and looks absolutely beautiful on you. You may have outdone yourself. Hi Erica, I'm a new reader of yours and was excited that you'd made this coat because I'm in the process of making a muslin for it! Yours is gorgeous, really inspiring. I'm going to take a look at your past tailoring posts as well as I've never sewn a coat before. Welcome Crab and Bee! Thanks and good luck with your coat! Beautiful coat very professional in construction and details. Beautiful! I LOVE black and camel together. So timeless and elegant...my absolute favorite combination. I doubt I will ever have the skill to take on such a project, but I loved the tutorial. Thanks for sharing! Stunning!! Beautiful coat, outfit and woman. You have great style. I am so very envious of both your talent and your style. I look forward to each of your blogs. Ah-mazing!!! It looks so posh! I've been following you on Instagram for a while, I'm just getting around to checking out your blog. Great stuff! Thanks for the inspiration! 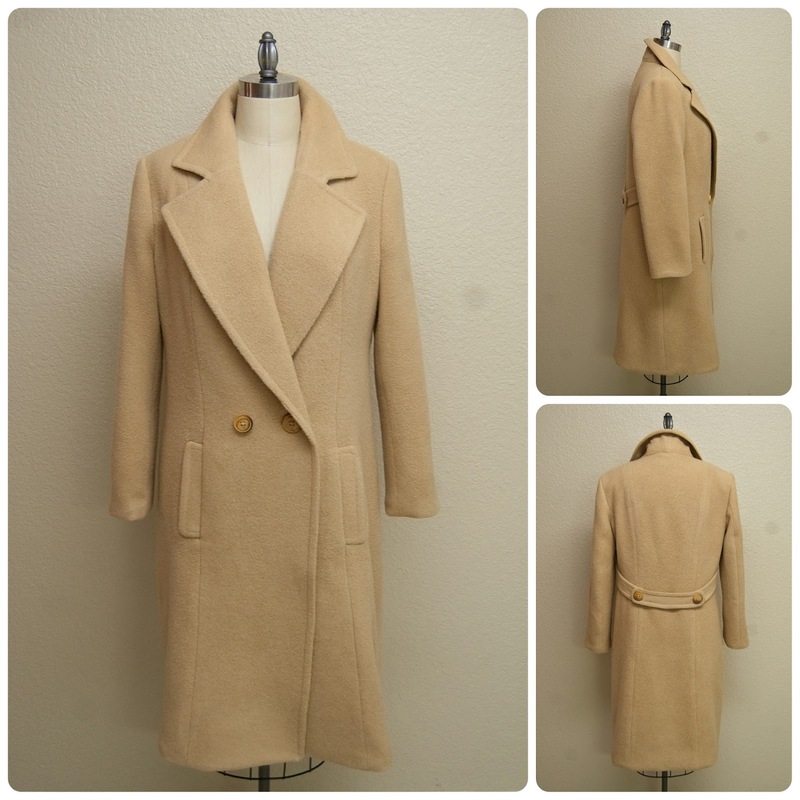 What a beautiful classic coat you have made. I have long wished I looked good in that color but I do not. Fabulous and beautifully made. Gorgeous coat made from gorgeous fabric. This will truly be a classic wardrobe piece for years to come and I love seeing the different ways you are styling it. Absolutely gorgeous!! I recently made my first coat and love it. Your camel wool is giving me ideas but I already have a lovely warm heather wool from Mood. What I'm Wearing | Camel + Denim! 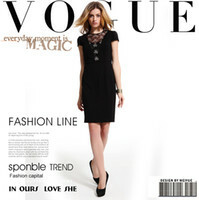 *NEW* Vogue Patterns - Spring 2014!